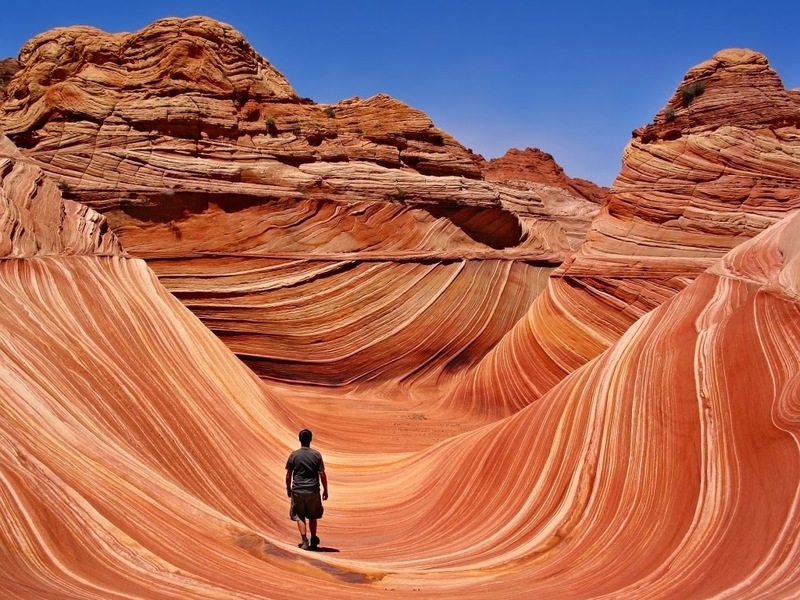 The spectacle, which consists of enormous “sleek” arrays of red stone on the border between Arizona and Utah. The stone is actually sand, which is for 190 million years became caked and turned into rock-like monolith. This place is not very well known among tourists, because it can get there on foot, must go more than 5 kilometers, and access is strictly regulated so as not to spread through the pebbles.